Brian received his B.A. Degree in Accounting from Michigan State University and was awarded his Juris Doctor Degree from Loyola University of Chicago School of Law. He is registered to practice as a Certified Public Accountant in the State of Illinois. He is a member of the Illinois Bar and is licensed to practice before the United States Tax Court. Brian has practiced as a CPA for over thirty years. 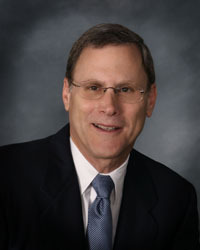 He began his public accounting career with Arthur Andersen & Company in Detroit, Michigan and joined David J. Miller & Associates, LLP in 1985. His areas of concentration include tax planning and research, estate planning and business consulting. Brian is a member of the American Institute of Certified Public Accountants, the Illinois CPA Society and the Chicago Bar Association. He has served on the Illinois CPA Society Estate Planning Committee and the Young Lawyers Section Estate Planning Committee. He has authored several tax articles and has lectured on various tax related subjects. Brian was born in Detroit, Michigan. He is married to Sharon and they reside in Northbrook, Illinois with their three children Shayna, Megan and Nathan. His leisure time includes coaching, managing and attending children sports activities and reading.